"Fred Astaire Show - The Packard Hour: The Dentist"
One of the greatest dancers of the 20th century, Fred Astaire's film and stage career lasted an outstanding 76 years and he made 31 music films, often with the lovely Ginger Rogers. However his first working relationship with another dancing partner was with his sister, Adele Astaire (who appeared on the radio program, Magic Key). He was 5 years old when he and Adele charmed vaudeville audiences with their dance routines. Their career propelled forward to Broadway. Astaire's first RKO first screen test read "Can't act. Can't sing. Balding. Can dance a little." Regardless of this assessment, RKO contracted Astaire and he made Hollywood debut dancing with Joan Crawford in Dancing Lady (1933). He stole the show in the 1933 movie Flying Down to Rio with Dolores del Río and Ginger Rogers, who later became his dancing partner. 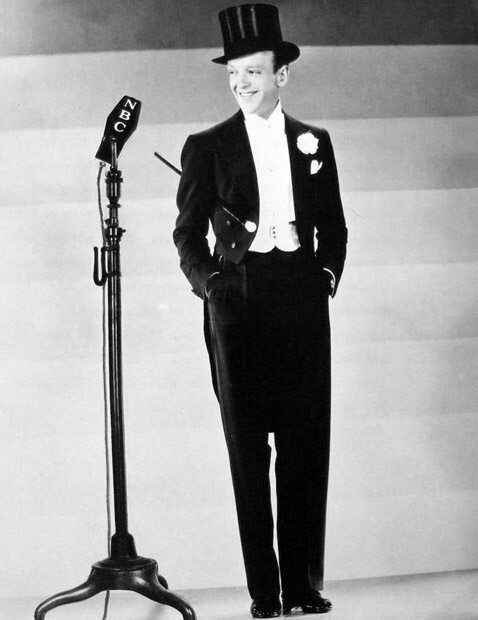 At the height of his career, Fred Astaire's legs were insured for one million dollars. He choreographed all his own routines and sometime worked with choreographer Hermes Pan. Fred Astaire made music with his feet and the sound of his shoes harmonizes with musical score on these old time radio shows. 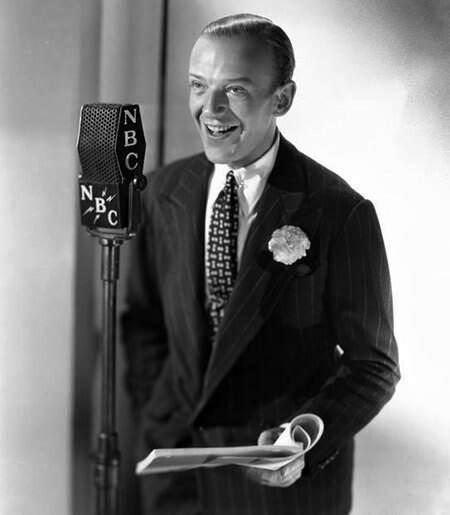 He even had his own show, The Fred Astaire Show (also known as The Packard Hour), which is included in this collection of his radio appearances. Be the first to comment on "Fred Astaire"